Iran's efforts to counter worsening dust storms have been hampered by conflict in the region, the deputy head of the environment department said on Saturday. "We signed agreements with the Iraqi and Syrian governments in 2010 and 2011 to help them counter the source of dust storms," Masoud Tajrishi told a news conference in Tehran. "But with the events that have happened in those two countries, the environment has lost all priority, and it is still not a priority for them," he added. Some 30 million hectares (74 million acres) of Iran suffer devastating dust storms every year, many blowing in from Iraq, Saudi Arabia and Syria. Hundreds are hospitalised with respiratory problems and border towns have some of the worst air pollution in the world. 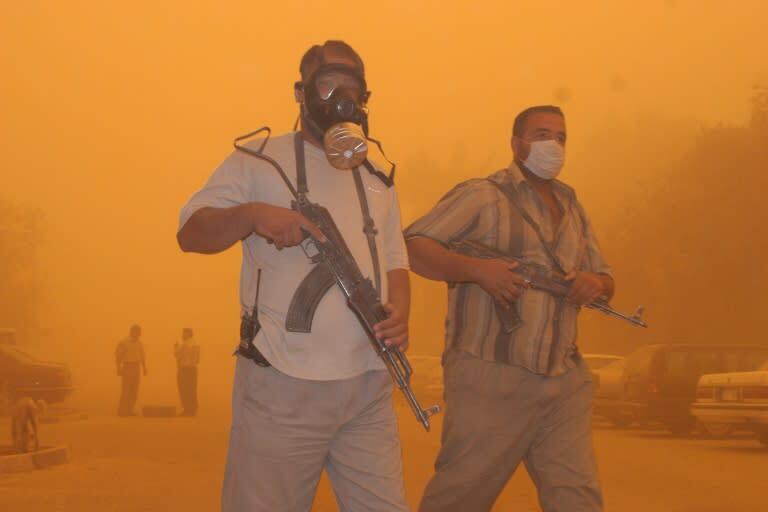 The outbreak of civil war in Syria in 2011 and the subsequent spread of the Islamic State group into Iraq were a major setback for efforts to work against dust storms. Tajrishi said a new mapping system was being implemented to track the origins and paths of the storms so they could be better understood and countered. But he added: "Iran is situated within a belt of deserts, and with the decrease in rains due to climate change, dust storms are here to stay for quite some time," Tajrishi said.